The year of our lord 2016 has arrived which comes with our new year’s resolutions. Last year was a very bad year regarding justice, civil rights, and what I would describe as a war on black people. My wish for the new year is the same prayer black people have been praying for nearly four-hundred years; STOP KILLING BLACK PEOPLE AND TREAT US FAIR. Lately, I would like to take this opportunity to wish you and yours a Happy New Year and to express, humbly, my sincerest appreciation to all of my friends and everyone who follow’s THOUGHT PROVOKING PERSPECTIVES. This is also to include everyone who reads my words and to all who share my thoughts with others through social media platforms. Thought Provoking Perspectives is designed to be a potent source of empowering knowledge to broaden the information base with those who share my passion for the written word. A season is a time characterized by a particular circumstance, suitable to an indefinite period of time associated with a divine phenomenon that some call life. One of the first things I learned in this life was that it is a journey. During this passage through time, I have come to realize that there are milestones, mountains, and valleys that everyone will encounter. It saddens me that African American’s have had to endure more than any other culture! There are many ghosts of the greats who sacrificed so much for us to exist today. We would not have had our history known if it were not for the great historian Carter G. Woodson. We may not have succeeded in the civil rights movement without a strong Rosa Parks to push Dr. Martin Luther King into bring the civil rights movement to the forefront of America’s consciousness. 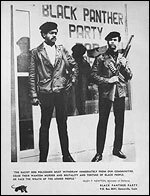 Then came the Black power movement that was so strong and so serious that it gave even more urgency to the White House and the American government to change rather than prepare for violence. John Henrik Clarke never got around to writing his life story, which encompassed some of the more turbulent periods in American history. Dr. Clarke is remembered as someone who put the forgotten history of Africa back into the textbooks and gave an analysis of history that wasn’t main stream and for this we honor him so dearly. This man who descended from a family of sharecroppers was born in 1915 in Union Springs, Ga. He left Georgia in 1933 going to Harlem where he became one of the greatest unsung heroes of our time. His political and community activism began quickly when Clarke opposed the Italian invasion of Ethiopia in the 1930s. Later, he became a close friend of black activist Malcolm X. Clarke helped to forge a link between Africans and African Americans.